Working on school projects is a great way for kids and parents to re-connect. However, not being scientists, many parents are at a loss trying to shop for materials for science projects. Unless the school has its own stores, offers kits or supplies, or a list of stores to shop at, budding scientists and their money men are on their own. When it comes to esoterica like field microscopes and litmus paper, eBay has a wider selection than maybe anyone imagined. You’ll find good deals on test tubes, retorts and pipettes, beakers, transistors, circuit boards, forceps and many more supplies that some science teachers have to look for at specialty stores. You’ll find categories like Electrical & Test Equipment, Lighting Equipment & Tools, Binoculars & Telescopes and other Weird Stuff to titillate your fancy and stock your school project box. Before you buy, spend some time with the assignment sheet or project check list searching eBay for what you need. Print out listings, and send them to school for the teacher to vet. Especially when working with a project that involves electrics and chemical agents, you need to know that you have the correct materials to keep projects clean and safe. Once you know that you have the right parts to make the project work, and you’ve paid a fair price for them, work can proceed. Materials for many typical school projects can be had for well under $50. If you’re shopping for a project at the same time you’re shopping for parts and materials, check out eBay’s Buying Guides. An eclectic mix of advice, procedure and commerce, eBay Guides are free and a good primer on the variety of goods and services available. 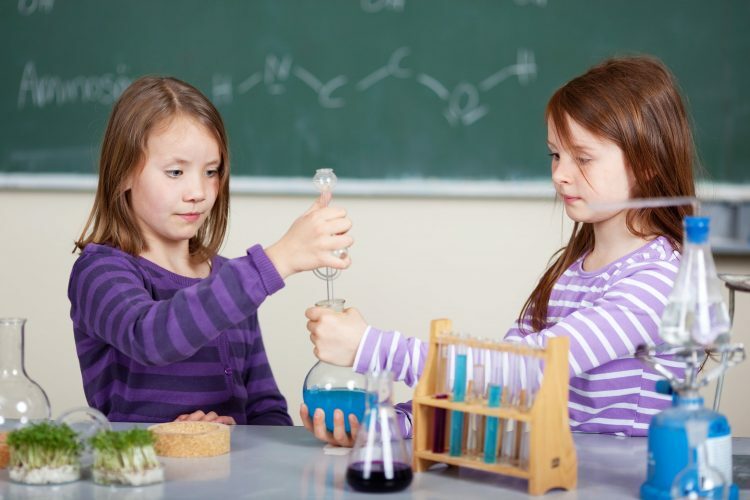 Although there’s not a specific category for school projects, many guides are suitable for science classes. It’s worth the time to take a look. One great, low-tech school science project is “How to Make a Robot Hand.” These are instructions on how to build a mechanical hand from washers, thread and plastic drinking straws. All the parts materials are available on eBay for almost nothing. When children have the opportunity to design their projects, eBay is still the place to shop the parts. Let the science teacher approve the project and then build a buying guide from listings on eBay. That way you’ll have a parts list and a solid cost estimate. And maybe you won’t have to leave the house to shop. Everybody saves time and money, especially if school funds can be used to develop kits available through science class. If not, parents can work together to gather supplies and buy in bulk to stock for future projects. For more information on smart buying for school, check out “5 Reasons Why You Should Stockpile School Supplies”on iRazoo.com.